If I was organised, there would be a photo of us here; but I'm not. We put this together several years ago now and made a demo CD, which got us zero bookings, and now we're mostly doing other things instead. Never mind, here are some recordings, anyway. 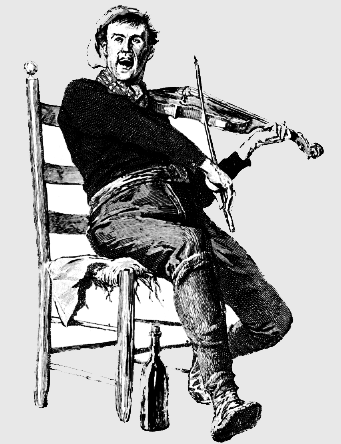 Rasmus Storm was an eighteenth-century Danish fiddler. He wrote a lot of tunes down, and his collection was re-discovered a few years ago. The first is really a reinländer, from Ringnes, in Norway. I think the 2nd is Swedish. Young Andrew's Gallop, Timely Consent, Herald of Bores. A tune that Andy made for a bagpiping friend, and one of Tony's. A tune from Morocco. I know nothing, I learnt it in a pub in Leeds. Recorded live as above - isn't it nice when the audience do the work for you ? A bunch of fun tunes that I was looking for an excuse to play.